Add ingredients to a blender and blend until smooth. Coat rim of glass with chili salt. 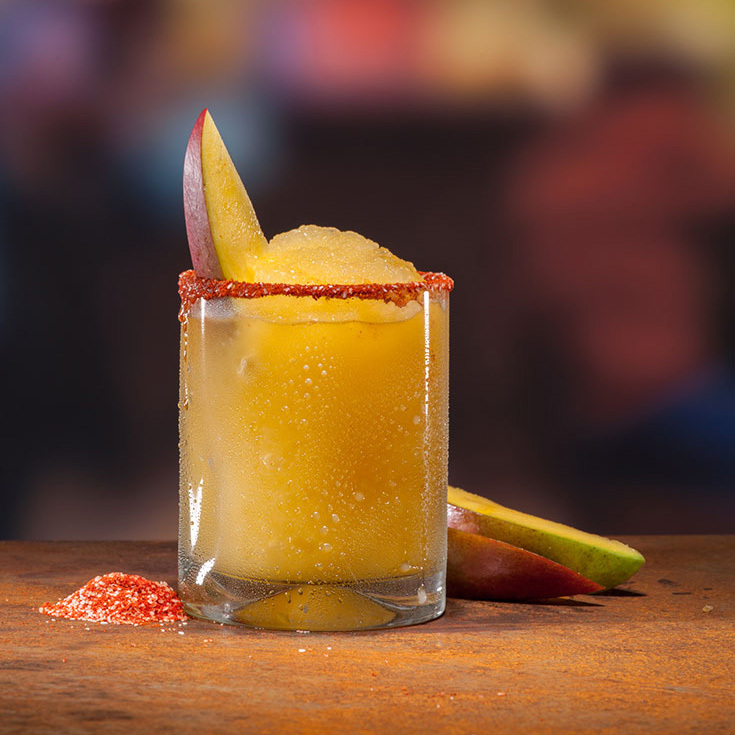 Pour frozen margarita into glass and serve.